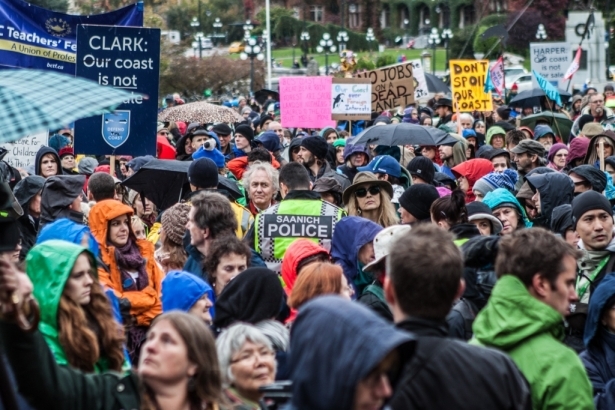 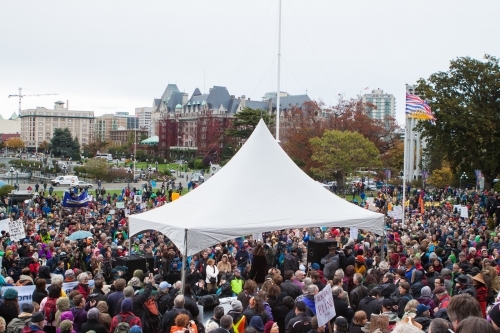 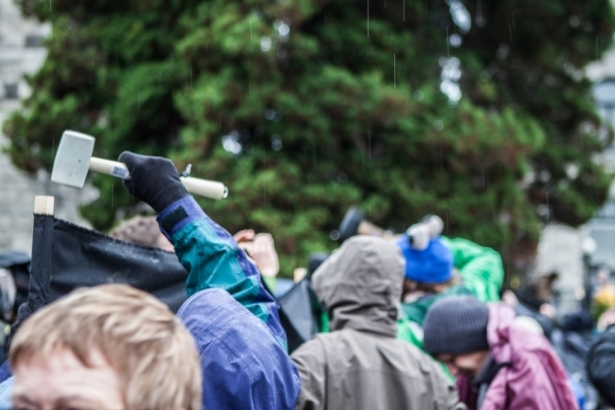 “A people united will never be defeated,” thousands passionately chanted in the cold rain yesterday outside the BC legislature. 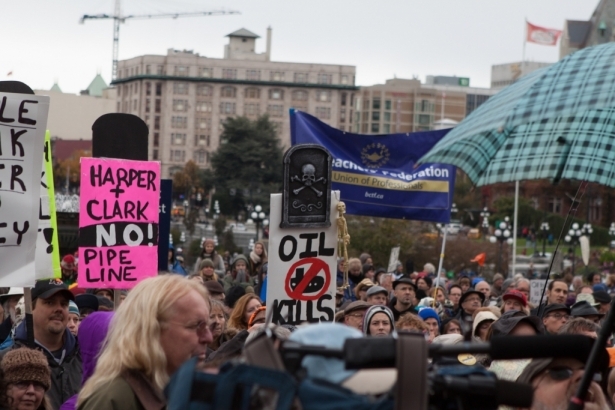 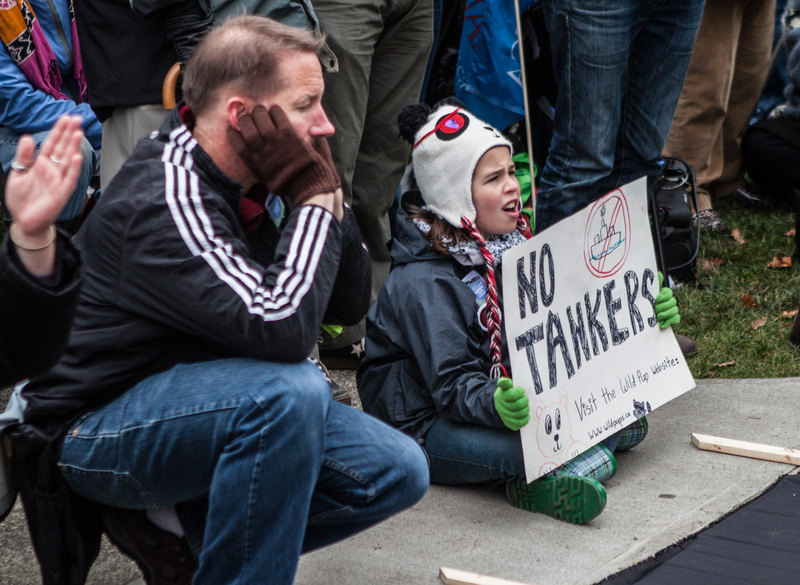 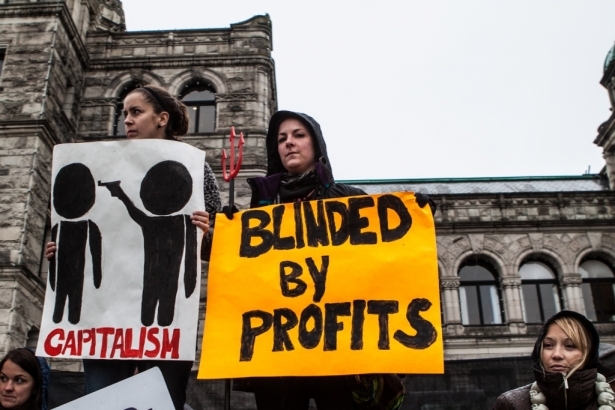 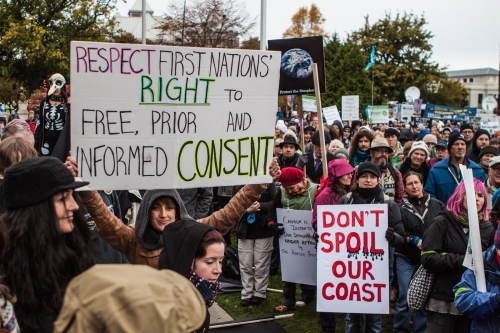 They were protesting the $60-billion Northern Gateway pipeline project and the Kinder Morgan pipeline. 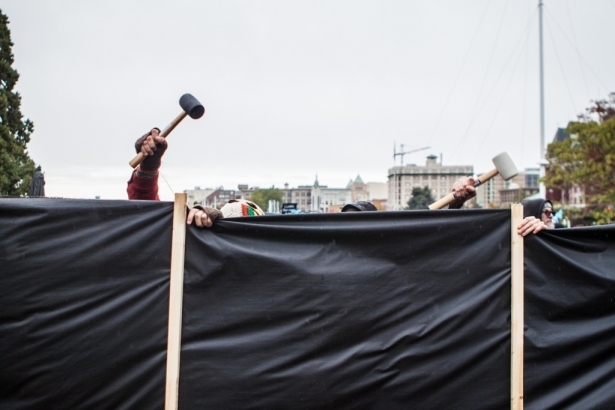 “We will fight this insanity through the joint review panel, in the courts of this country and, if necessary, at the barricades on the land itself. 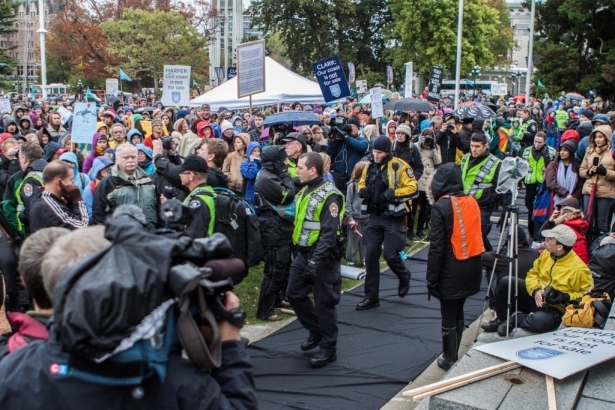 We will not stand down. 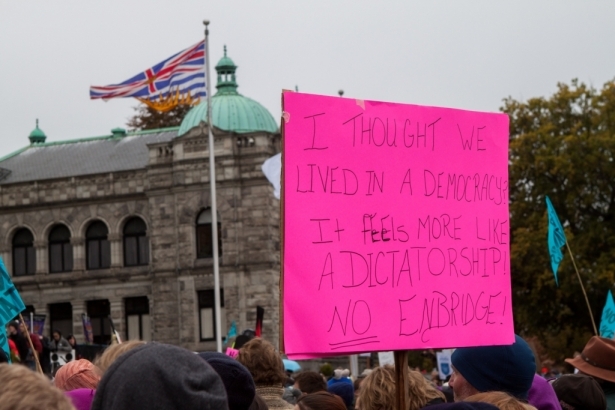 We will not step back. 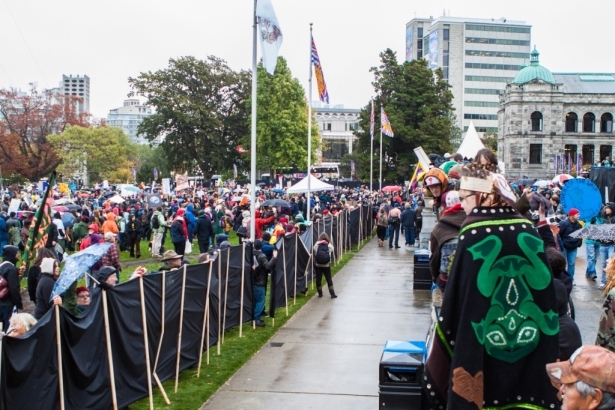 We will stop Enbridge and the Kinder Morgan proposals dead in their tracks,” said Grand Chief Stewart Phillip of the Union of BC Indian Chiefs to a cheering crowd. 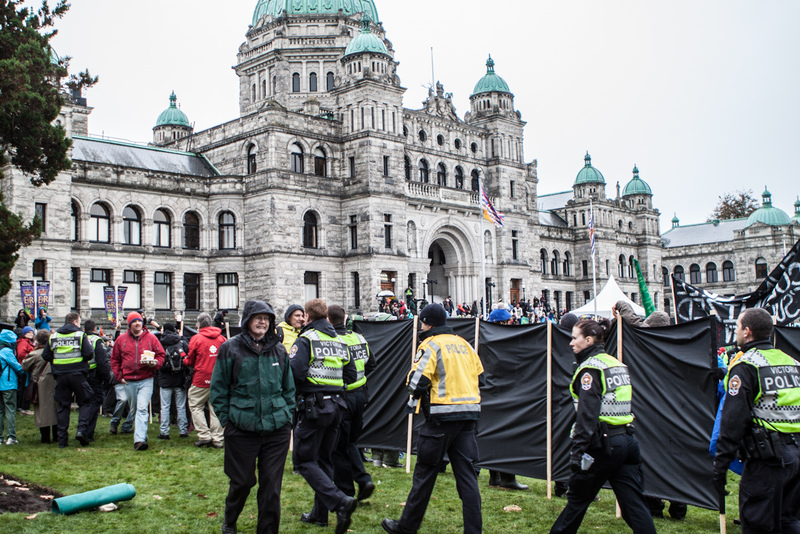 The peaceful protest, which began at 11:00 am, included First Nations, unions, environmental non-profit groups, academics, as well as members of the federal and provincial NDP and Green Party. 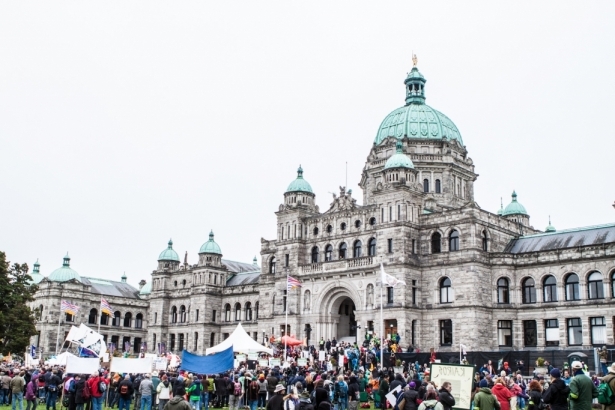 The most outspoken MP on the issue, Elizabeth May, carried a physical copy of the China-Canada Foreign Investment Promotion and Protection Act (FIPPA). 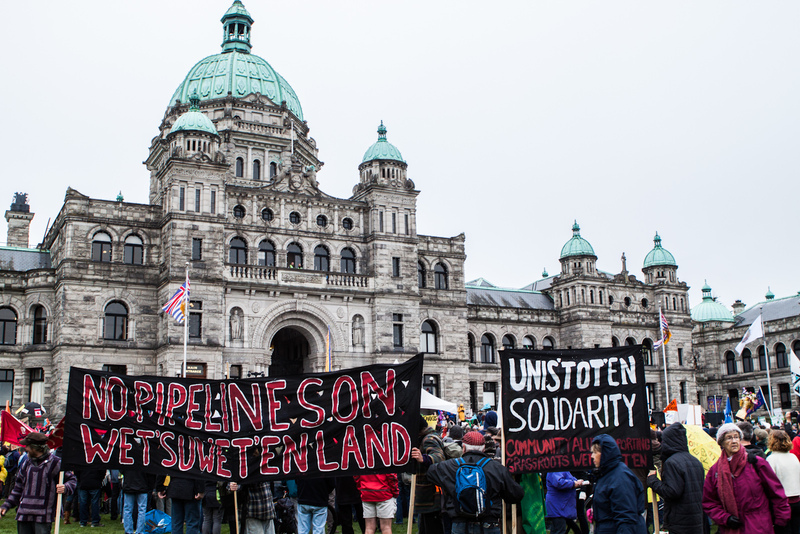 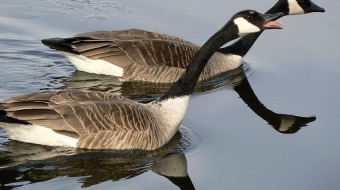 FIPPA is a controversial treaty that binds China and Canada for 31 years, and allows Chinese investors to sue BC outside Canadian courts should the provincial government decide to stop the pipeline, negotiate, impose or update regulations that affect their profit. 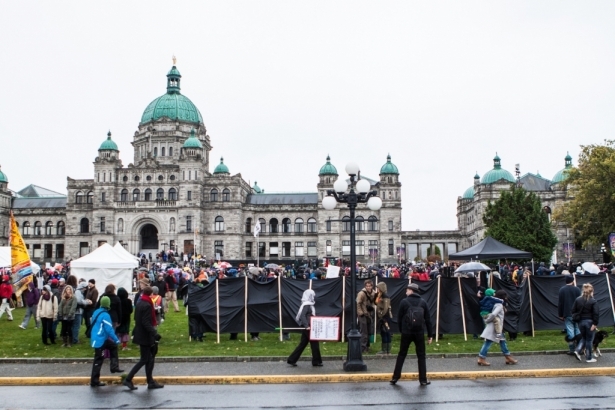 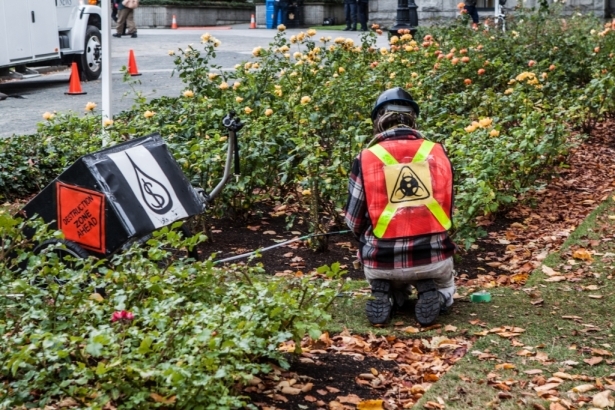 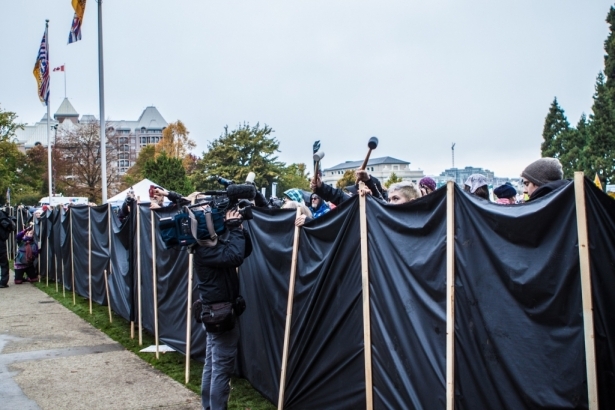 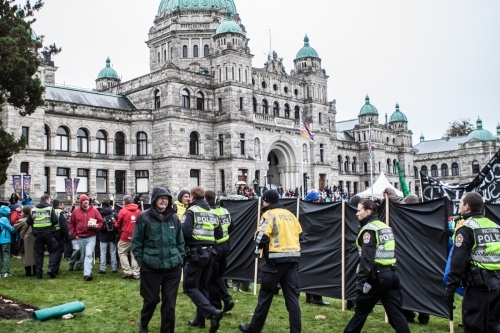 No arrests were made among protestors despite engaging in civil disobedience: staking a 235 metre black banner into the legislature’s front lawn. 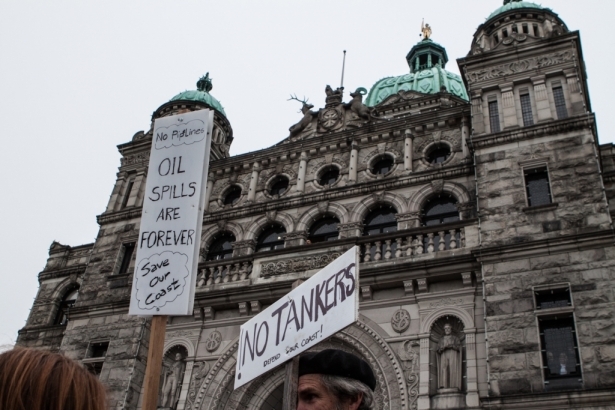 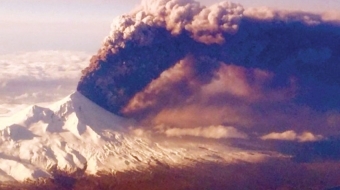 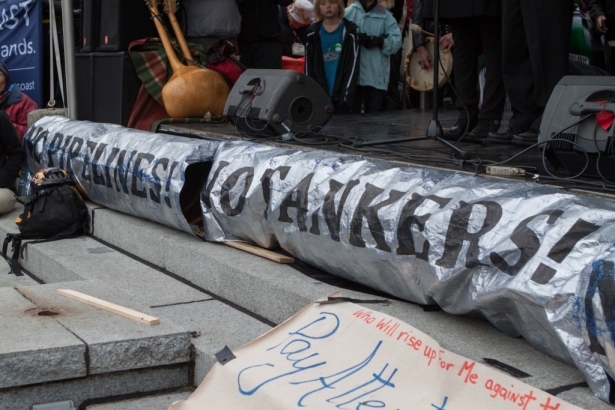 The banner symbolized one supertanker that would transport oil from BC to China.